The famous cheese with the black wax. Aged for well over a year with salt crystals inside. Great strong taste, but easy to crumble. Also fabulous when used grated. 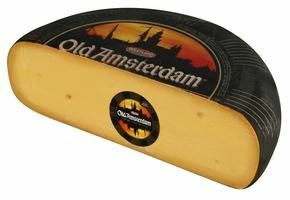 This cheese even went to the International Space Station with Dutch Astronaut Dr. Andre Kuiper. During the hot summers only available in our shop in Old Town Spring.